Ctrl Alt Shift – a documentary exploring VJ Culture. CTRL ALT SHIFT – from V.I. Artists on Vimeo. ArKaos on tour with The Killers! 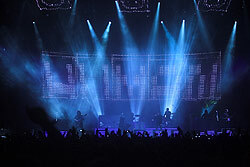 Several ArKaos media servers are used on the latest tour of The Killers.